It’s turning out to be a flavour-packed June for Test Kitchen, which is hosting its third guest chef event of the month. 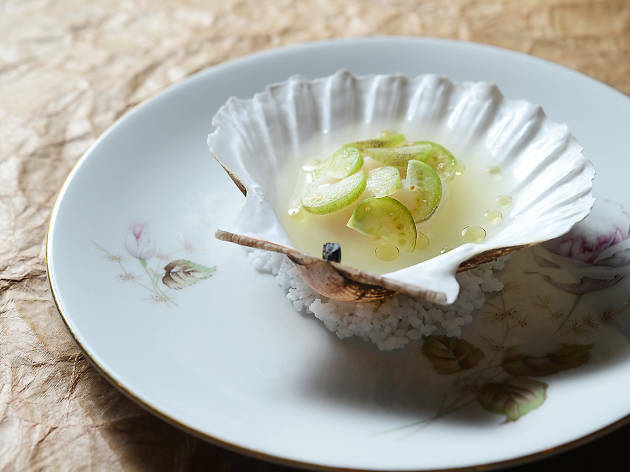 From June 20-24, the Sai Ying Pun venue welcomes chefs Ludovic and Tabata Mey. The talented husband-and-wife team are the brains and behind Restaurant Les Apothicaires in Lyon, and are known for their cross-cultural cooking that takes a lot of inspiration from French, Nordic and South American cuisine. For their eight-course menu at Test Kitchen ($1,080), expect creative and sophisticated plates that celebrates seasonal ingredients and clean flavours.